My wife Stephanie, producer and star of the our Web series The Retributioners, recently penned an article for Digital Chick TV (DigitalchickTV.com) about the joys and horrors of making a Web show from scratch in our living room. 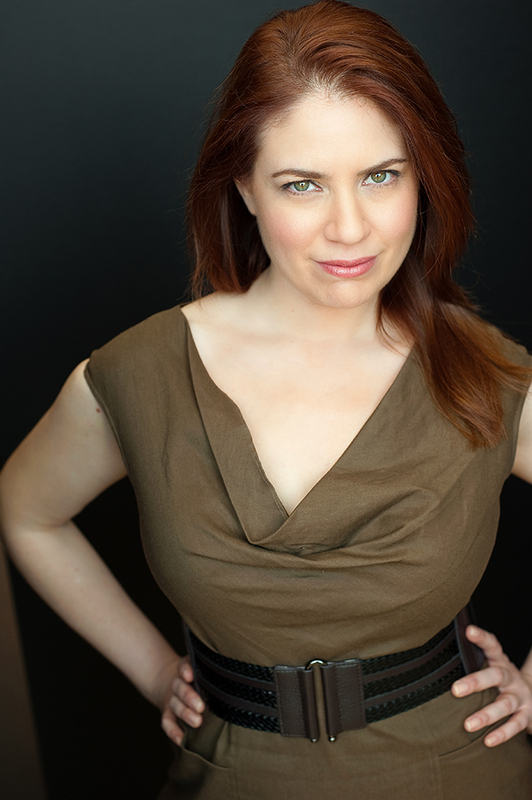 Digital Chick TV is run by another ce-Webrity, the amazing Daryn Strauss, the writer/director/producer of Downsized. Check out both our shows. Stephanie would also probably like it if I showed off this head shot of her. I like to show her off, and besides, we can probably depreciate the photo expenses for accounting purposes. Stephanie and I landed out West for our Christmas vacation last night, and woke refreshed this morning to find this awesome review of “The Retributioners” on Visioweb.TV, an excellent new site devoted to Web shows. The legions of Web TV fans are growing, and if this site is any indication, they’re an increasingly savvy, sophisticated, articulate bunch. We should all be switching off our cable now! (at least until the Soup and 30 Rock are on, or maybe until Mad Men gets going again). So if you do love Web TV, and you want to show your appreciation to the proliferating numbers of plucky, independent-minded Web artists coming online, maybe you’re wondering: How do I get my favorite shows the attention they’re due? Well, how about with some awards? The 2nd Annual Streamy Award season just launched, and Stephanie and I are excited to nominate not only ourselves, but also to nominate the incredibly talented actors who lent us their rapier wit and masterful acting chops in 2009. For your consideration, we humbly submit our fresh, funny, acerbic, retributive Web show in a number of categories. Check out our Streamy site to find out how you can get The Retributioners nominated. Steph and I, again, are on vacation, so the posts will be a bit less frequent over the next couple of weeks, but check in anyway. You never know when I’ll spring some holiday cheer on you.